I was privileged to present at the Mahara Hui conference in Wellington, New Zealand. Summary: by using an analytics tool that integrates well with Mahara, such as Matomo (Piwik), Mahara users can benefit from a multitude of insightful analytics reports. 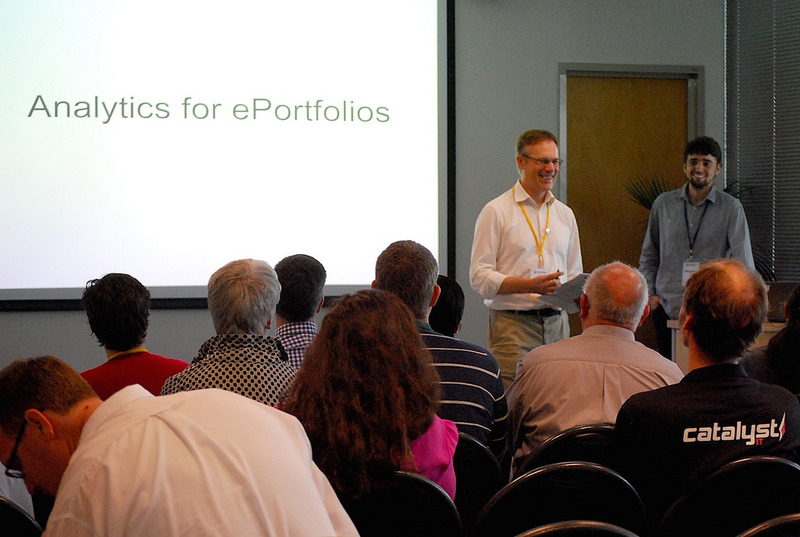 Mahara is a web application to build your electronic portfolio. You can create journals, upload files, embed social media resources from the web and collaborate with other users in groups. Mahara is a popular open source project built by a passionate community, and used in universities, schools and companies all over the world. Don Christie introduces Matthieu Aubry from the Matomo (Piwik) project. Photo by Evonne Cheung. I’m excited to join the Mahara team at the Mahara Hui Hackfest organised today at Catalyst IT offices. We will brainstorm how to integrate Matomo (Piwik) beautifully within Mahara, and how to ultimately provide students and employees useful analytics on all the content they create!